Disclosure: I am a Lubriderm 2015 Ambassador. As always, my posts are based on my opinions and experiences. Temperatures are changing, the air is less humid, skin tends to get dry and rough. 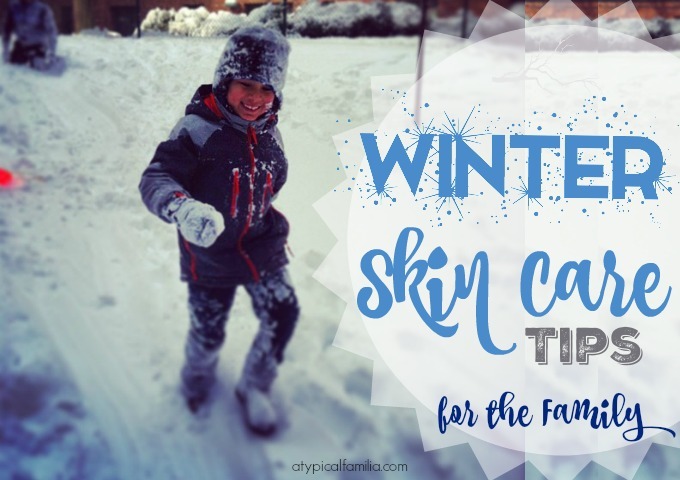 A winter skin care routine is critical. So far, the weather outside hasn’t been all that frightful. On Christmas day, I wore a short sleeve shirt, sweater and scartf. While he temps have been mild, the heat in our Bronx apartment is unbearable. And our skin is feeling the difference. I knew it was time to change our family skin care routine. Personal skin is important and it’s a self-care skill I want Norrin to understand. Throughout the year, our skin care routine changes. In the summer, we use Lubriderm Daily Moisture Lotion with SPF. My husband, Joseph, uses Lubriderm Men’s Deodorizing Lotion when training for the marathon. And in the evenings, I love to unwind with Lubriderm Calming Lavender Jasmine Lotion. But temperatures are changing and as the air gets cooler and less humid, skin tends to get dry and rough. Avoid Hot Showers. I know after coming in from the cold, it’s so tempting to take a scalding hot shower. But hot shower depletes your skin of its moisture. Apply Lotion After Showering. It’s best to apply lotion within 10-15 minutes after showering. However, be sure to pat your skin dry as rubbing can irritate skin. Apply Lotion Twice a Day. For best results, apply lotion twice a day – once in the evening before bed (usually after bath time) and once in the morning before getting dressed for school or work. Use a humidifier. In the wintertime, our apartment gets really hot (we can’t control the heat – it’s usually the case in many New York City apartments). The air gets really dry and it’s brutal on our skin. Using a humidifier at night can help keep skin hydrated while you sleep. And during the colder months, our winter skin care routine includes Lubriderm Advanced Therapy and Intense Skin Repair. Advanced Therapy Lotion: soothes and helps relieve extra-dry skin. Fortified with Vitamins E, B5 and skin essential lipids, this clean-feeling formula absorbs in seconds and is clinically shown to moisturize skin for 24 hours. Helps transform extra dry skin into healthier looking, more resilient skin in just one week. Intense Skin Repair Lotion: helps relieve dry, itchy skin. Enriched with skin essential nutrients and HYDRARELEASE® Technology, this fast absorbing therapeutic formula is clinically shown to moisturize for 24 hours to help repair and replenish skin. 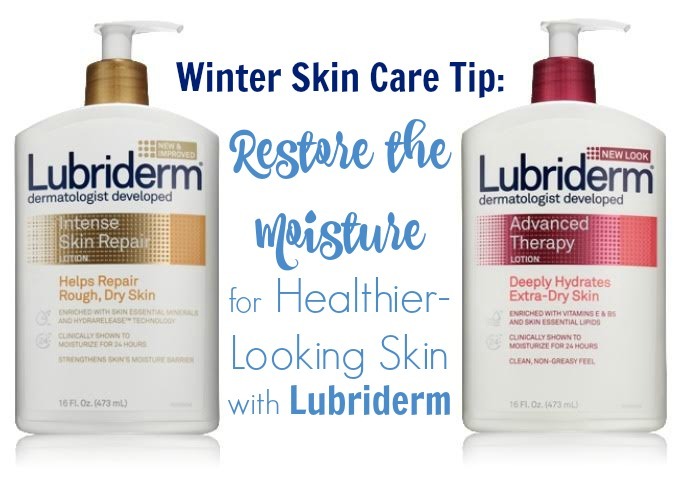 Restore the moisture for healthier-looking skin with LUBRIDERM® Advanced Therapy and Intense Skin Repair Lotions. Apply all over the body twice a day for long lasting relief and more resilient skin! For more skin care tips and information visit Lubriderm. I am a Lubriderm 2015 Ambassador. As always, my posts are based on my opinions and experiences.